Jamie is a recent Orphek Atlantik customer who ordered four Atlantik Wide Pendants for his 170 gallon (60” x 22”w x 30”) reef aquarium. 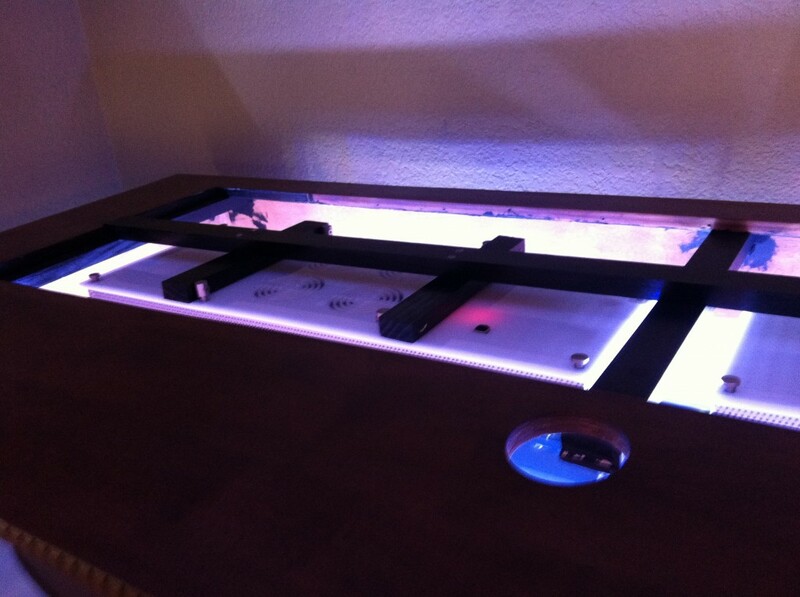 Based on recommendations from other LED light manufacturers, Jamie thought he would need four Atlantiks to cover his new reef tank. As it turned out, Jamie returned two Atlantiks back to Orphek because Jamie only needed two of our Atlantiks to provide the high PAR/PUR he was looking for throughout all areas of his new tank. Below is Jamie’s email to Orphek. This is a new tank for me in addition to my 250 gallon mixed reef that will be SPS only. I am sorry that I do not have any coral pictures to share with you yet, but will definitely pass them along after I get the tank fully up and going. I can however, share with you the PAR numbers that I measured. 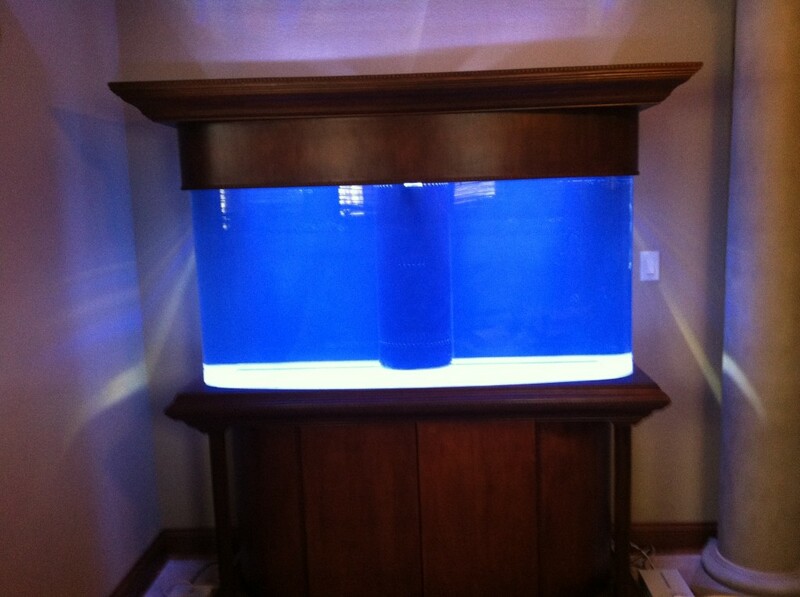 The tank is a 170 gallon bow front design that is 60 inches long x 30 inches tall by 22 inches wide. I have two Atlantik fixtures that measure 8.5″ above the water surface from the face of the fixture. At the very bottom of the tank directly underneath the lights I am getting an average of 300 PAR and I couldn’t find a spot on the bottom anywhere that was below 200 PAR so both the PAR and spread are very good on these lights! I told Scott that while the light gives off a very nice blue color that is sure to make corals pop, I would have never guessed it was bright enough to give of those PAR numbers until I took the measurements. Needless to say, I am very impressed with these lights! Surely my numbers can help other customers calculate an ROI on the Atlantic that is more advantageous than other fixtures on the market. I have to say that I did extensive research on various reef forums and could not find a single bad thing about the performance of any of your lights or customer service. However, I did hear from some unhappy customers that tried your competitors lights (Radions) in SPS dominated tanks. I felt confident in my research and in my discussions with Scott that the Atlantik would definitely give me the PAR I needed, but wasn’t sure about the spread until now. You guys are surely on to something with your convex lens for tanks such as mine! Please let me know if you have any questions or would like more information. I am more than happy to be a reference for you. I am looking forward to posting more pictures once I get the corals in! It is letters like this that bring a smile to our face. We strive to engineer the best LED lighting technology possible and offer the best coverage and PAR per square foot in terms of value. Although our lighting may appear more expensive than other systems, in the long run it is not, the Atlantik will cover twice the area as its leading competitor’s LEDs. We have also informed Jamie to raise his lighting to 12” above the water line because a PAR reading of 300 is very close to a PAR reading of 600 with metal halides or HQI’s. Metal halides produce light in all areas of the visible light spectrum including dangerous UV rays. Orphek LEDs are carefully fine tuned to produce light in the PUR spectrum which is the most beneficial range of light for coral growth. There is no wasted energy used for spectrums corals do not respond to.